One of the things I love about being a mother is all the activity and enthusiasm children have. I swear I always have to be on my toes and even more so with having boys. The biggest thing I say you need ti know with boys is where the nearest hospital is. Even they get hurt the most outside I love that it is one of their favorite places to play. Being an avid gardener and having an intense love for the outdoors, I am very proactive about involving the kids in outdoor activities. During the summer we spend a lot of time at the pool or local beach and I've noticed that parents very rarely seem to forget to coat their children with sunscreen. However they almost always have their children running around without eye protection which is so unfortunate. 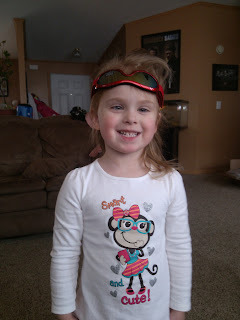 Which is why when Real Kids Shades contacted me I had to share everything about this awesome company with you! Real Kids Shades are not your average children sunglasses which are usually sold as toys and contain no actual protection for your children. I had no idea that when I thought I was protecting my children by putting them in sunglasses everyday that I bought in random stores around town, I really wasn't. Real Kids Shades "award-winning designs, intensive product testing, and patented construction ensure our children’s sunglasses offer the best 100% UVA/UVB sun protection available on the market today. They’re serious sunglasses fabricated with the same high-quality materials and to the same exacting standards as adult shades." 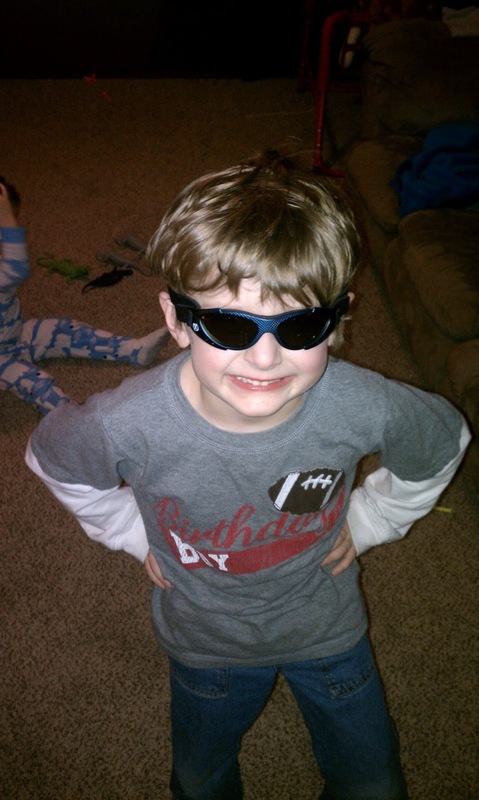 The best thing is that "Real Kids Shades are specifically constructed to fit kids’ faces and their lifestyles." So I have to worry less about keeping the glasses on or Destructo Declan from destroying them right away. These sunglasses are made to last -they are "shatterproof, impact-resistant and adaptable to sports and active lifestyles". My kids can comfortably wearing them while running around like wild banshees or while riding bikes (of course wearing their helmets). Both boys looked super stylish and we even gave a pair to Mikayla (Amy's daughter) since she fell in love with them too! Recommendation: I think these are all great and really great prices too! I think that if you have a lil one going outdoors frequently that they will love any of the these and even if its just once in a while! Protect your kiddos and buy a pair for sure!! Giveaway: Real Kids Shades is going to give one of A Lucky Ladybug's lucky readers a pair of sunglasses of their own! I would get the Infant Shades 0 - 24 Months. I would get the glide for children 7-12 years old. Hi! Sign me up for any pair for my tweenager niece. I would get the Flex Duo in Navy and Orange. I like the Glide Shades in black. the blue xtreme elements for my son! I think I'd go for the xtreme sports black/purple.